My sister is cooking the turkey this year, so Shawn and I are headed over there later today. My contribution is dessert, of course! 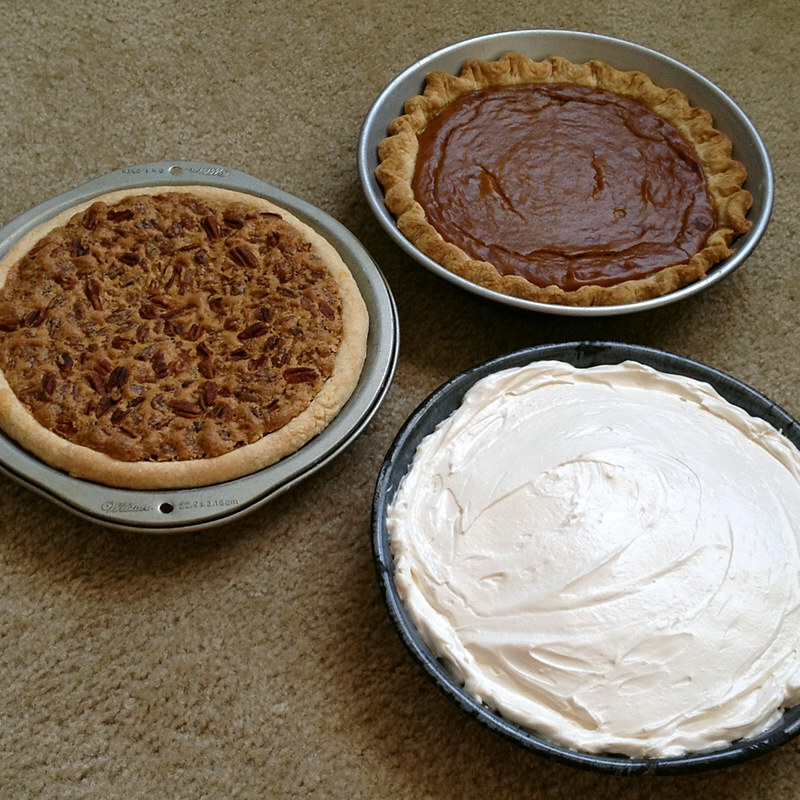 Pecan pie, pumpkin pie, and key lime pie. I only wish I could have made the key lime pie look better, but it's hard to make meringue look good without a piping bag. Oh well- as long as it tastes good! I hope everyone celebrating today has an awesome Thanksgiving filled with either tasty treats, close family, or hopefully both! Lets all be thankful to be where we are today, wherever that is and whatever it means to you. Thank you! I'd wish you the same but if I recall correctly you're in Canada and have already celebrated!